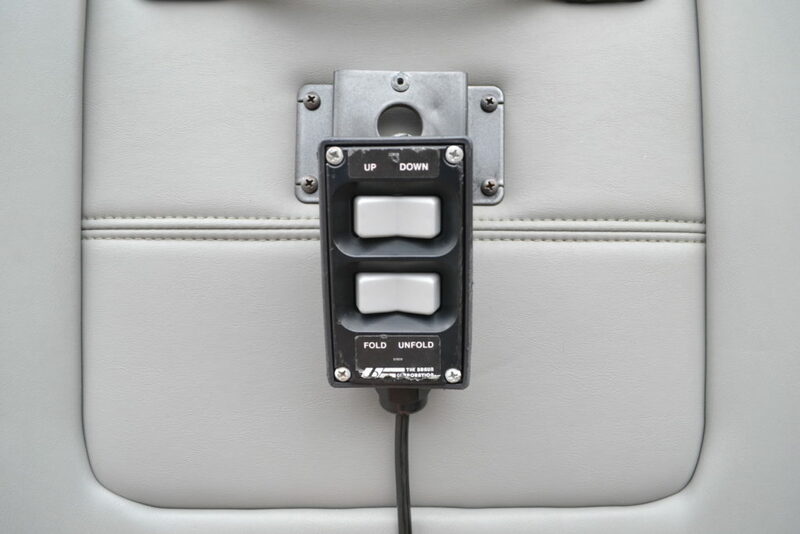 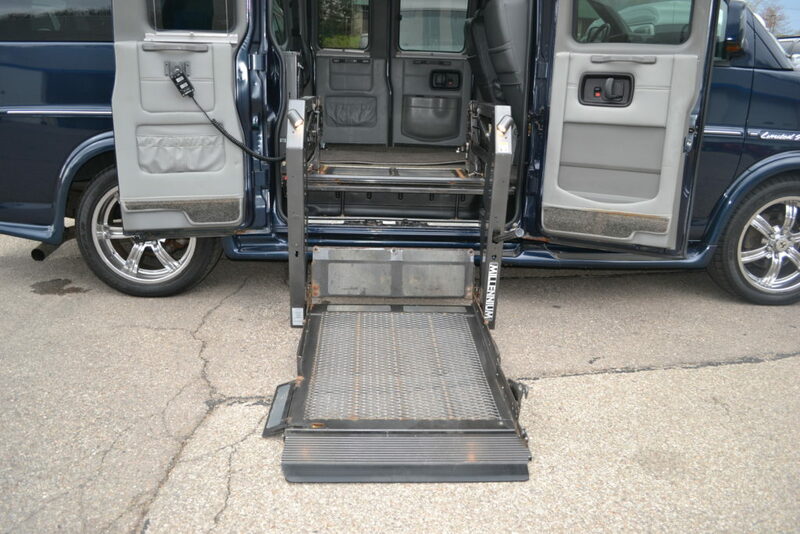 Custom Luxury AWD Wheel Chair Lift Equipped Van. 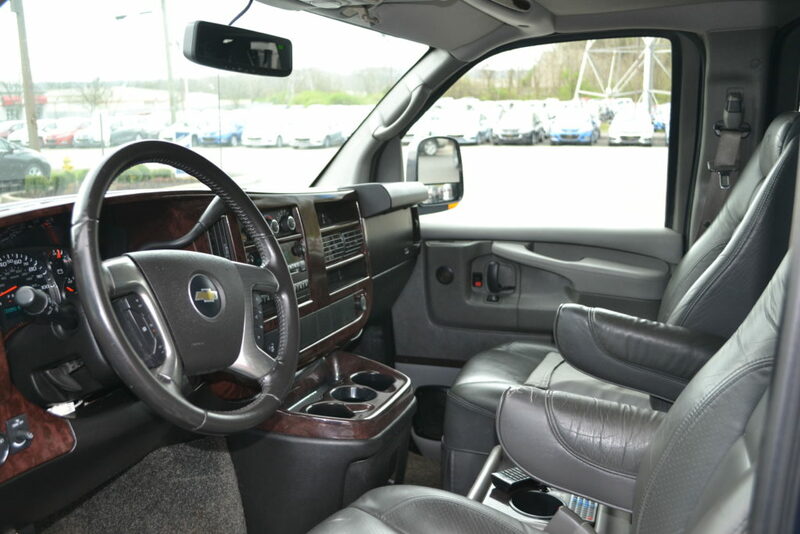 Move your Team in Comfort. 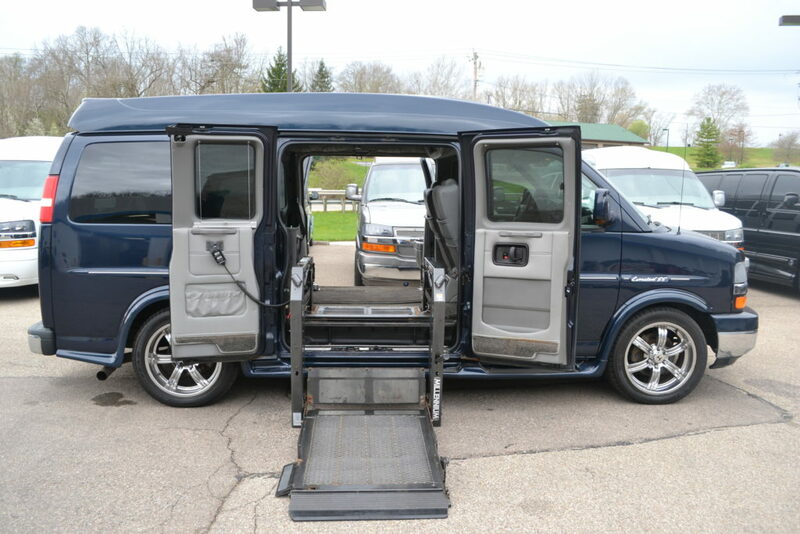 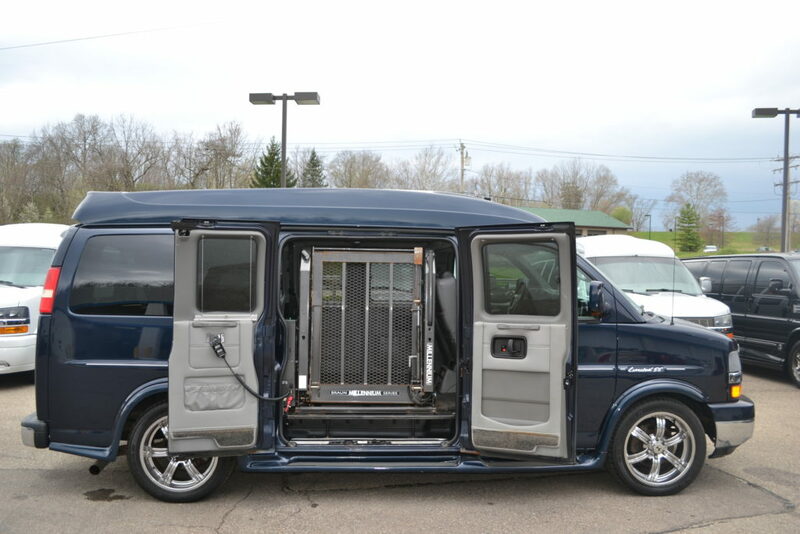 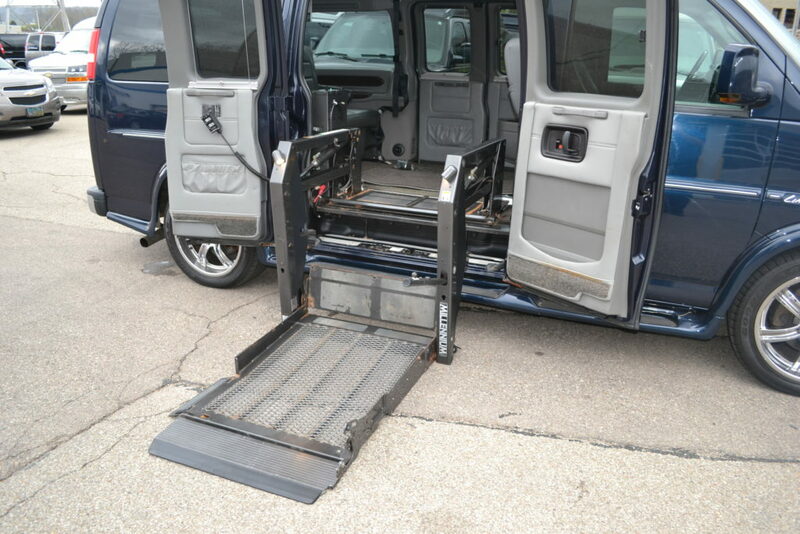 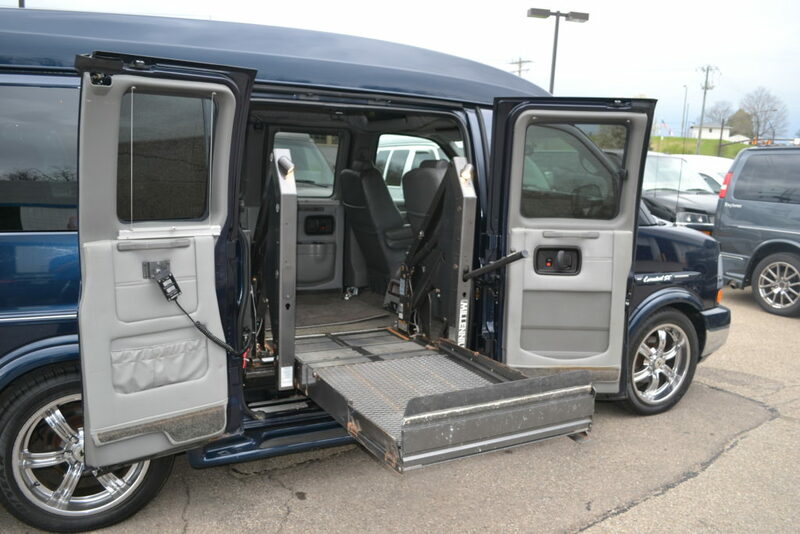 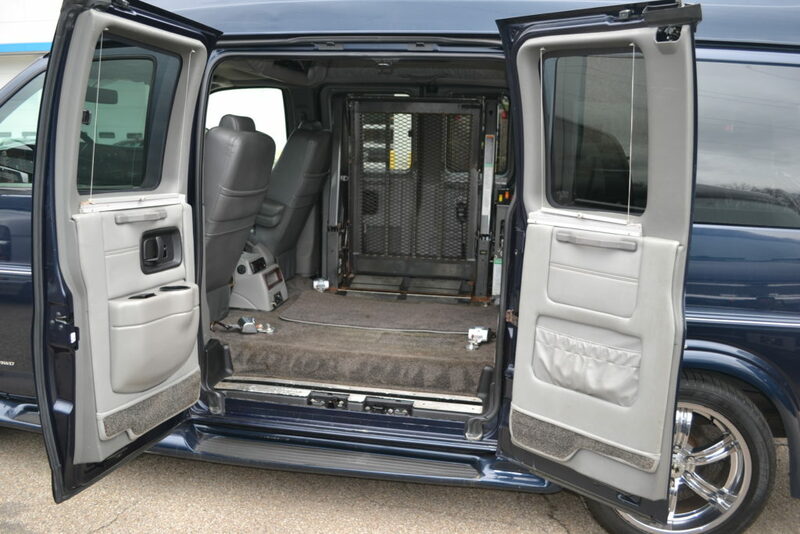 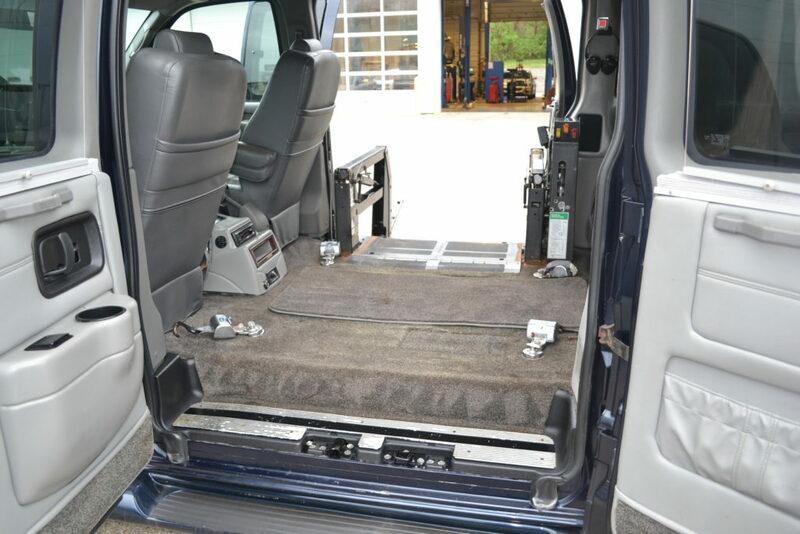 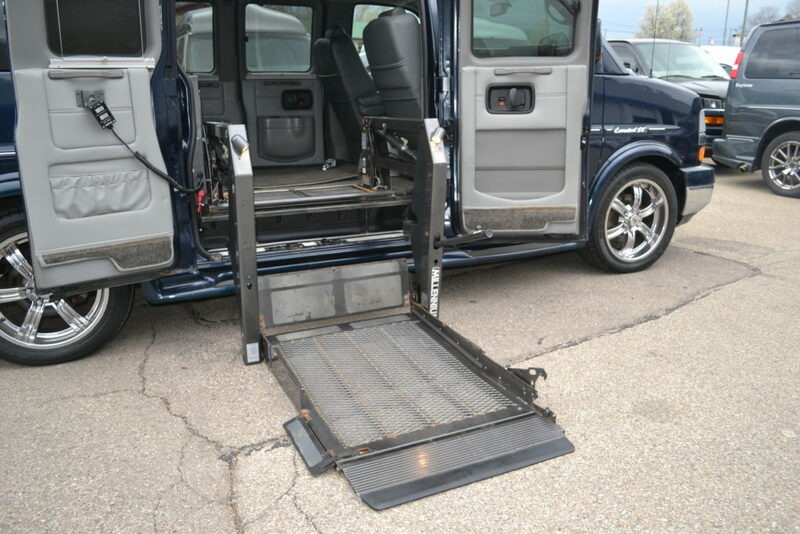 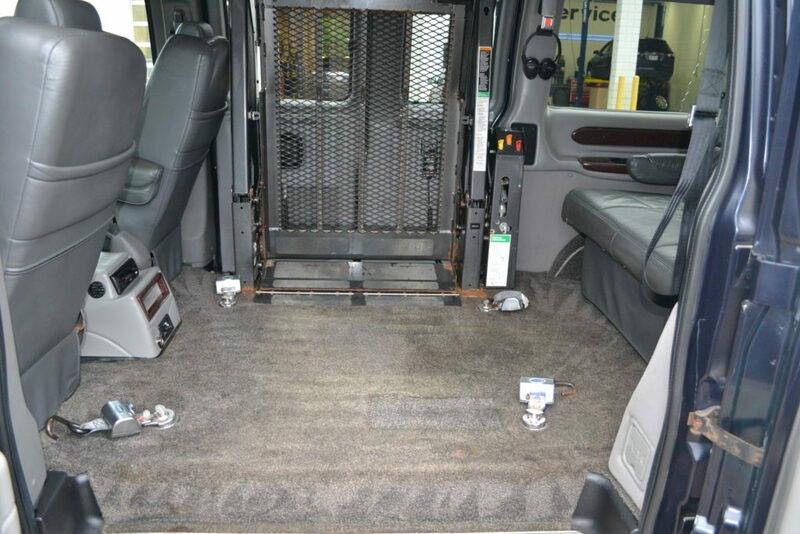 The Security of AWD in a Hi-Top Conversion Van, Wheel Chair Lift By Braun, All Wheel Chair Equipment Preforms as it should. 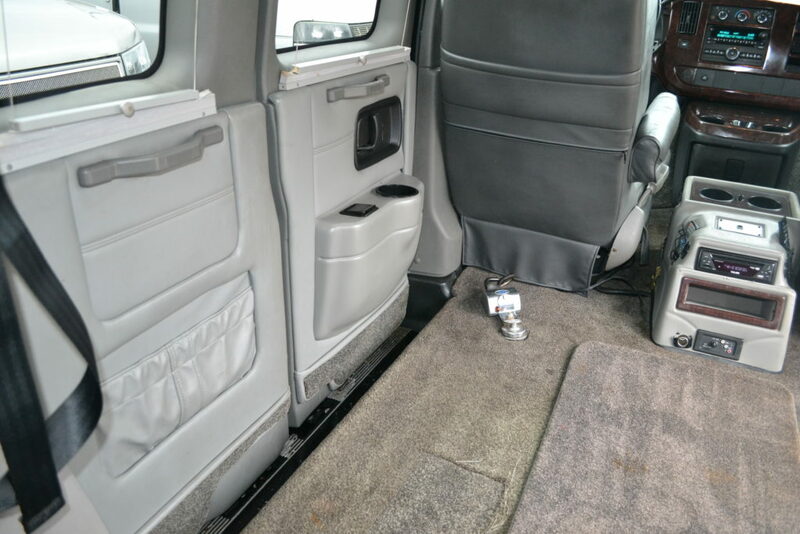 Van is in Good Working Condition. 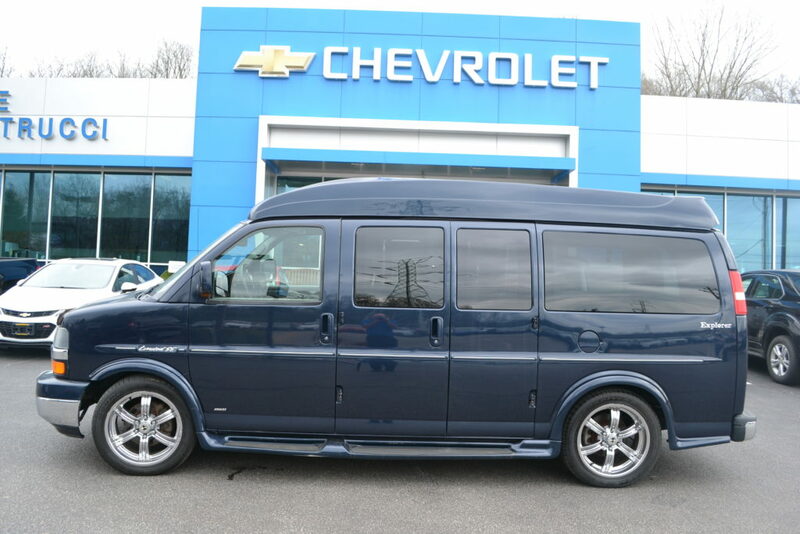 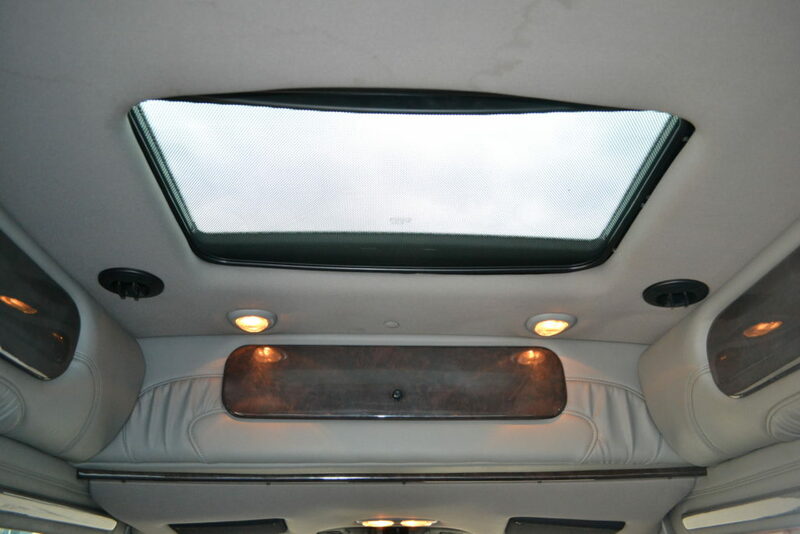 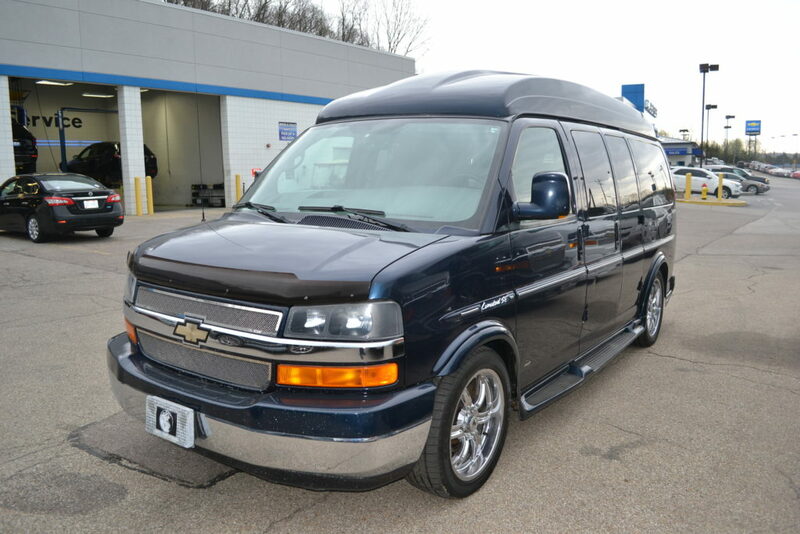 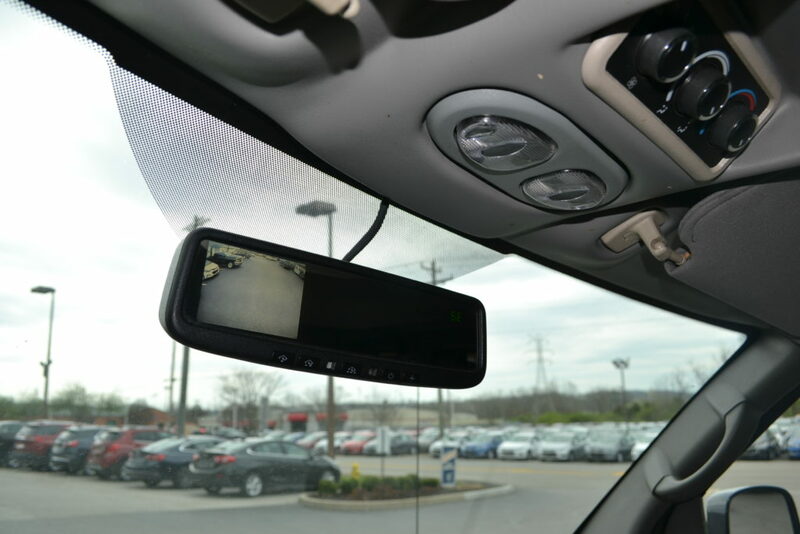 Call Sean the Van Man 513-519-2666 WE DEAL!!! 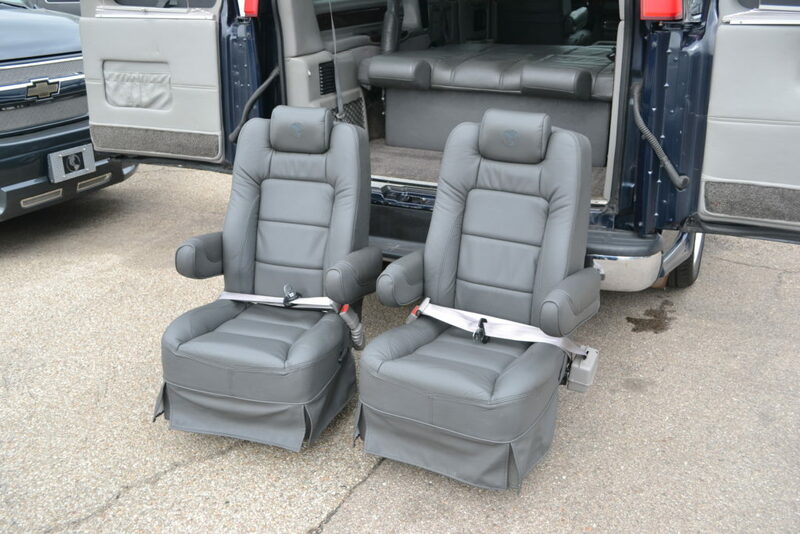 Graphite Leather Captain Chairs That Have Been in Storage. 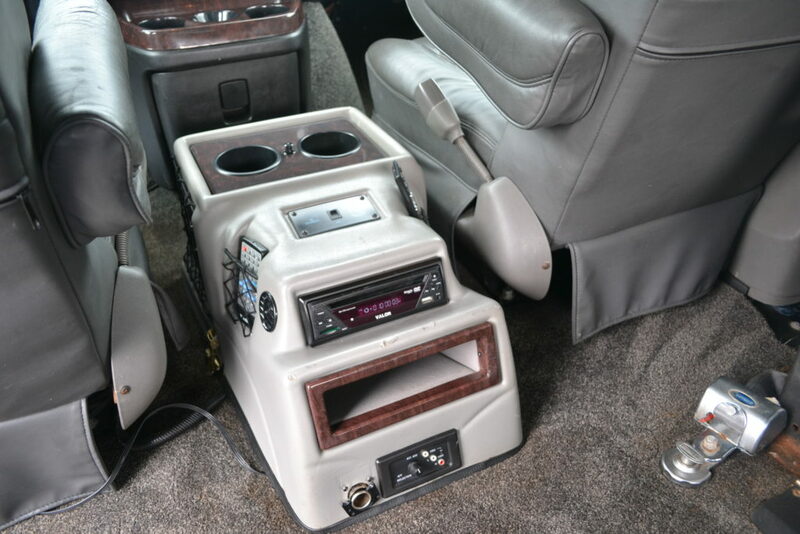 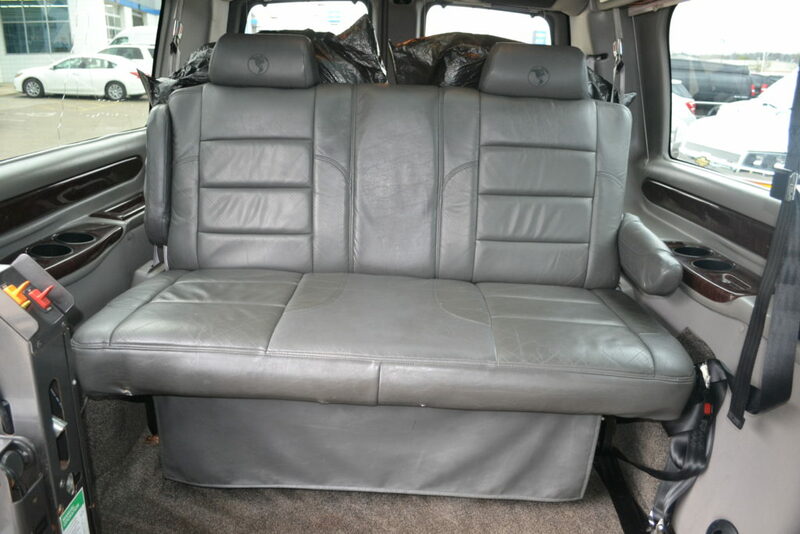 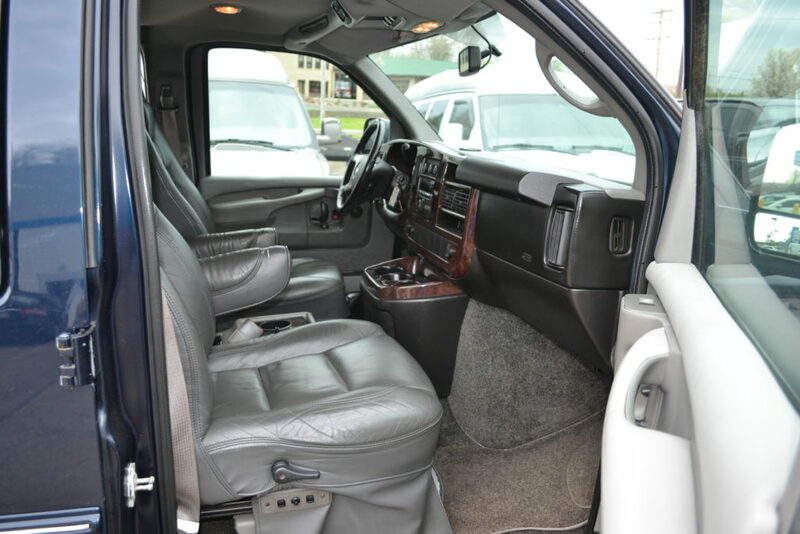 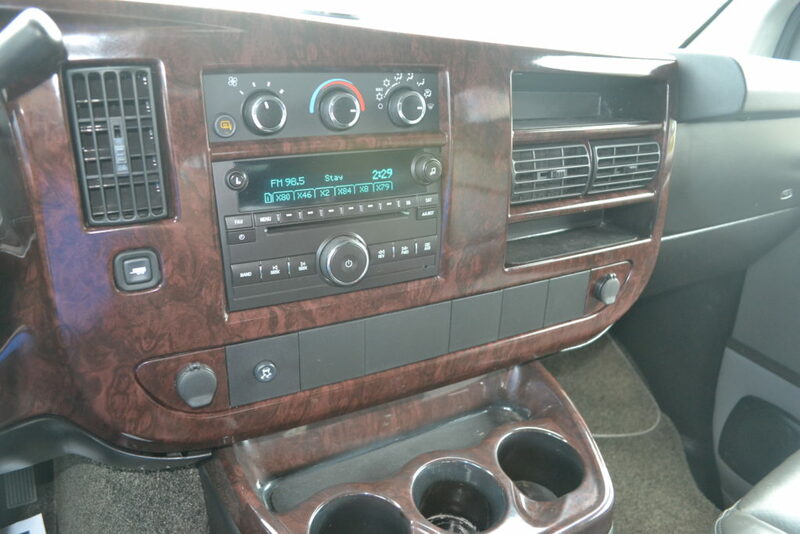 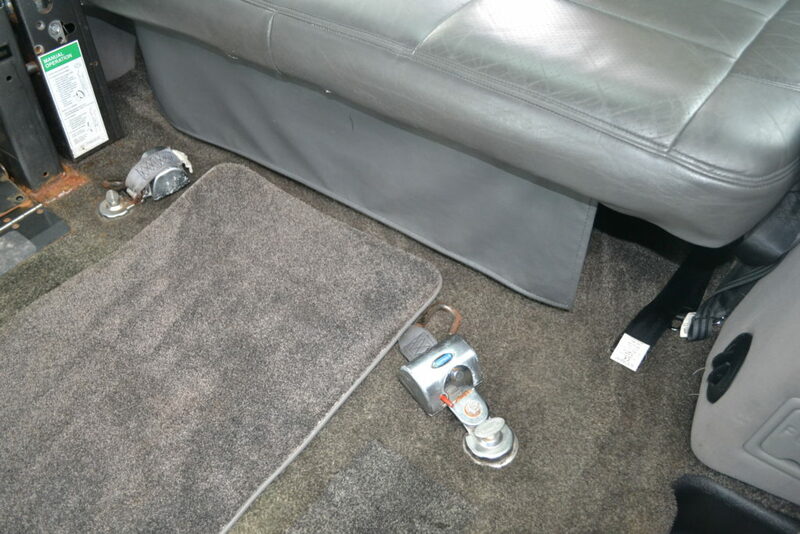 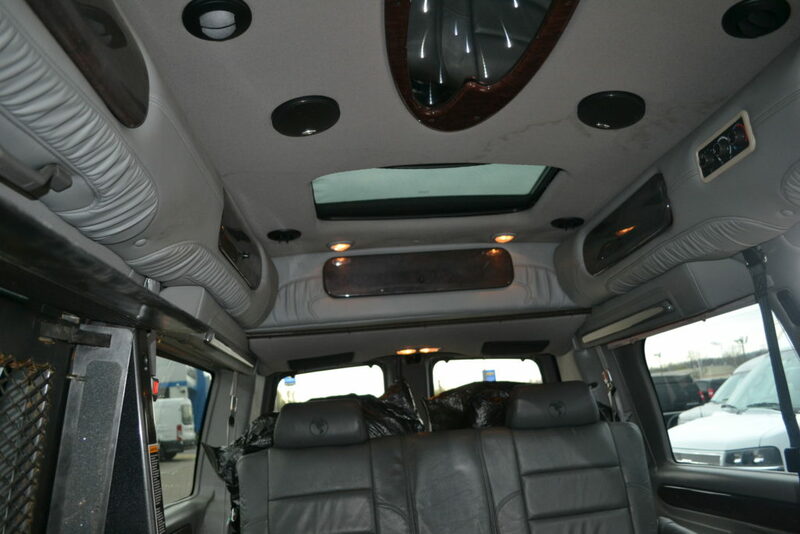 Interior: Graphite Leather Seating with Graphite Leather Inserts, Gray Sidewalls & Plush Carpet, Escalade Hi Gloss Wood Trim. 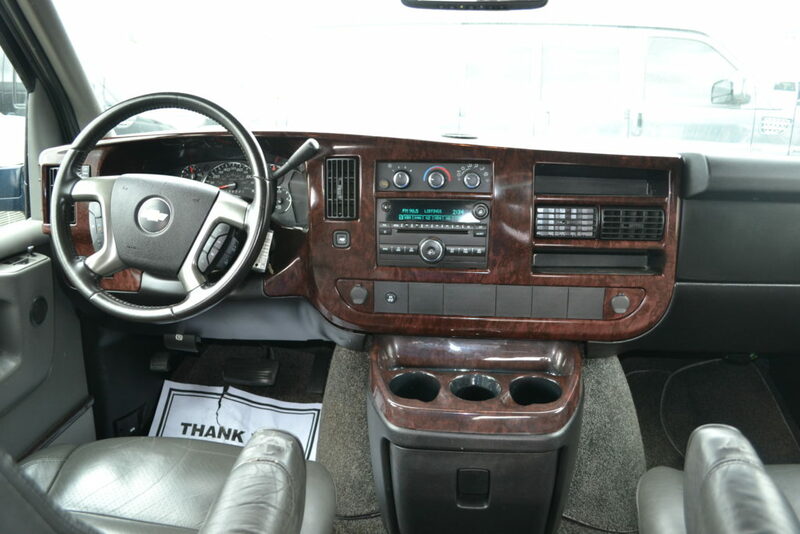 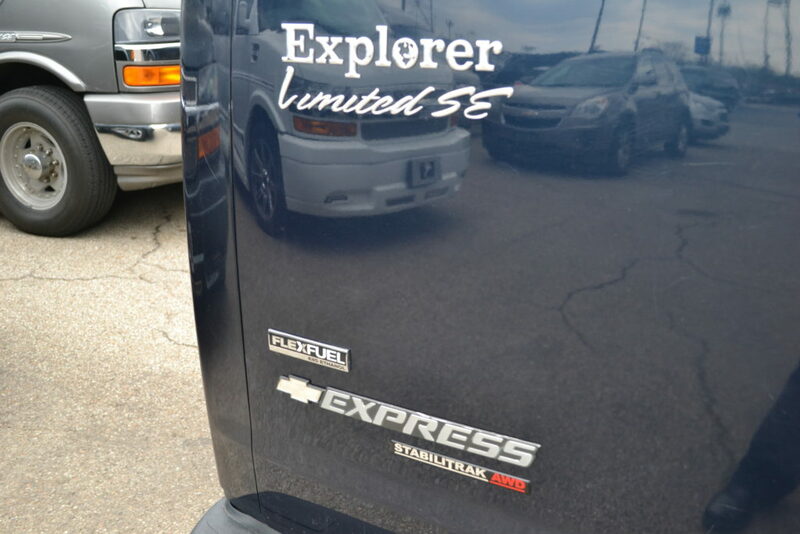 Engine: 5.3L V8, 301HP, 4-speed automatic, Stabilitrak, Flex Fuel. 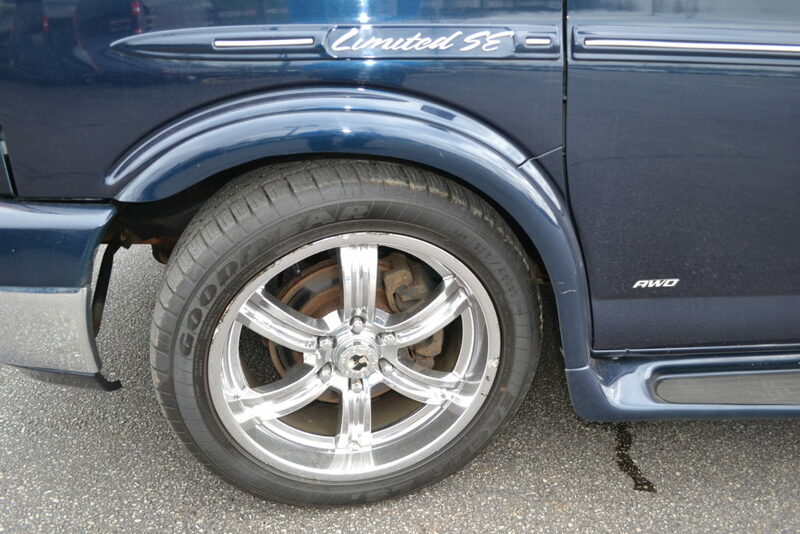 (AWD) All Wheel Drive. 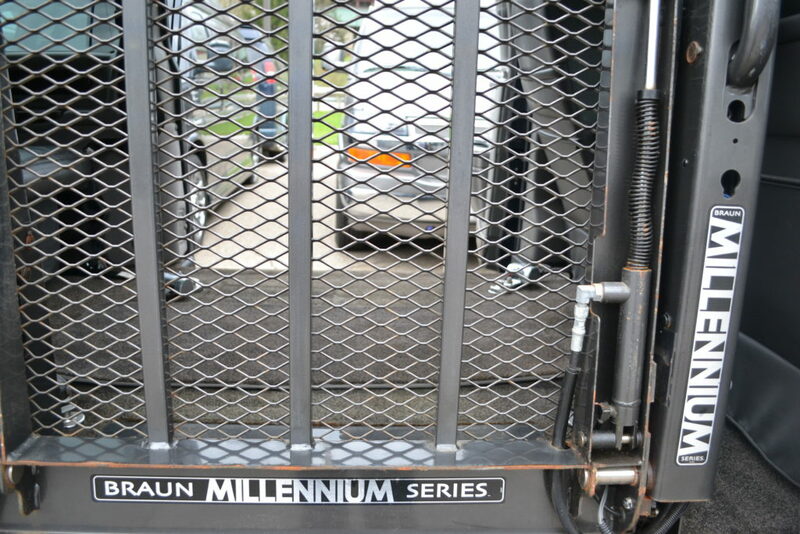 Mid Seating: Braun Millennium Series Lift with Automatic ramp lights. 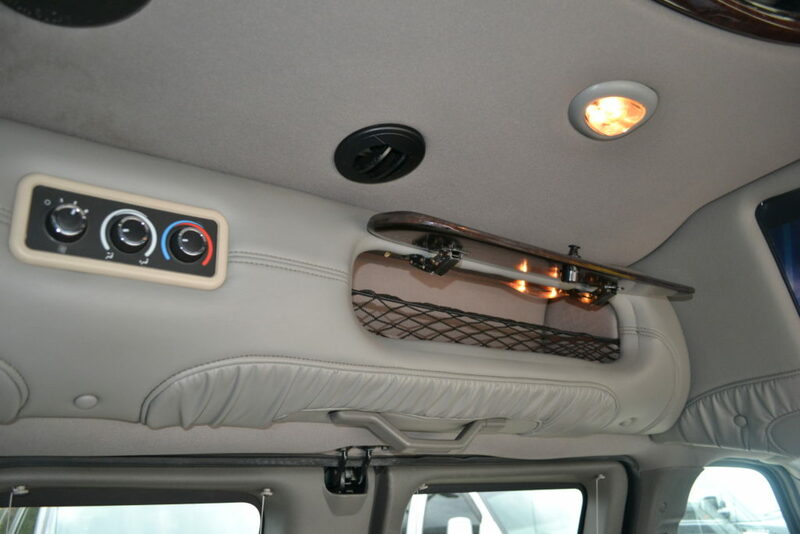 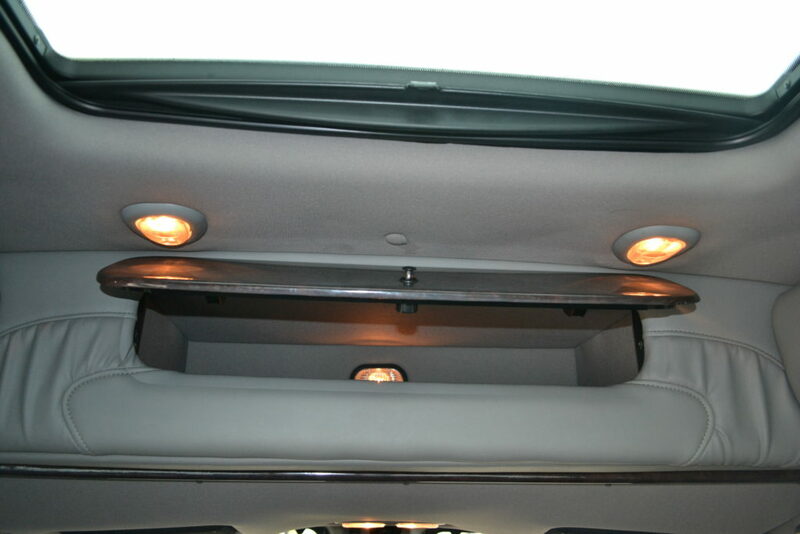 Q-straint Retractable Tie downs (4). 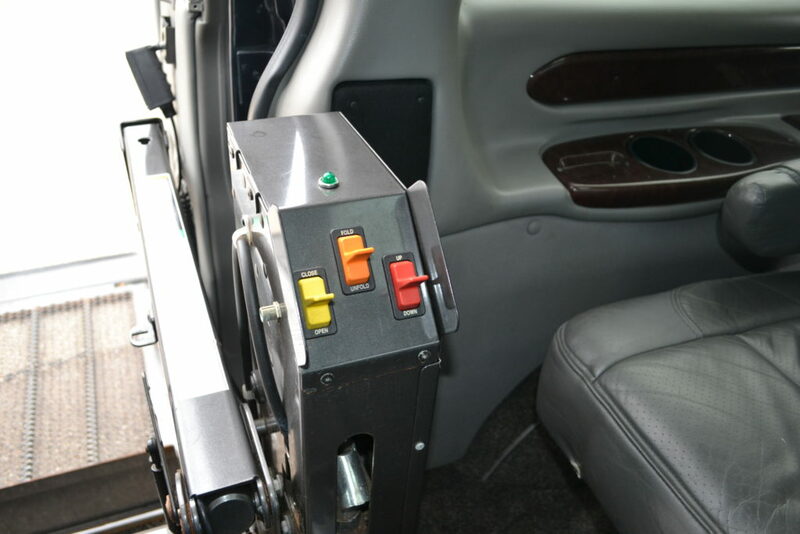 All Lift Equipment operates and works as it should. 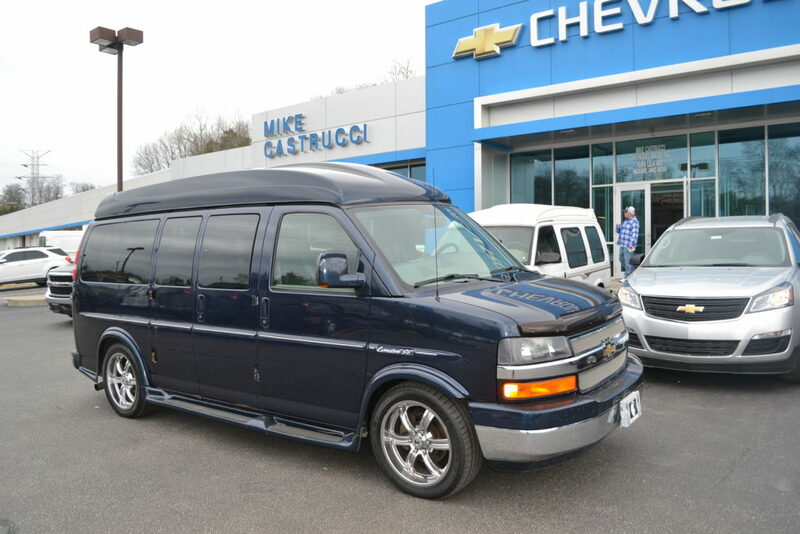 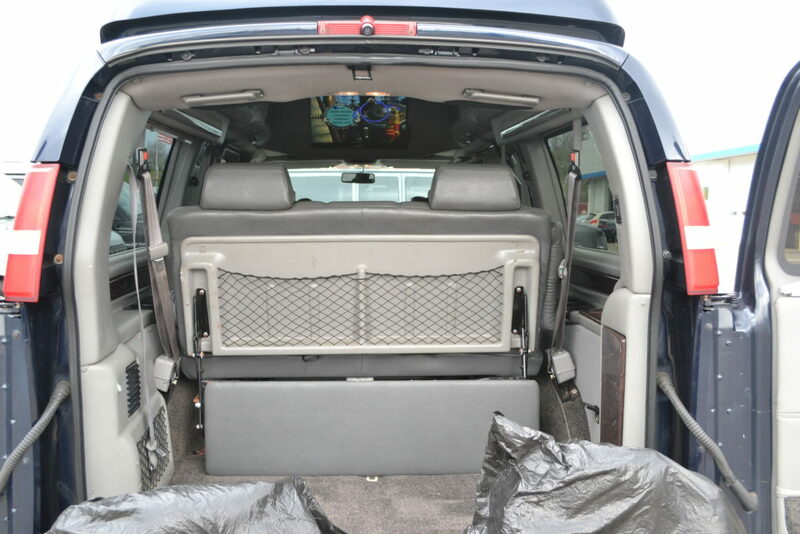 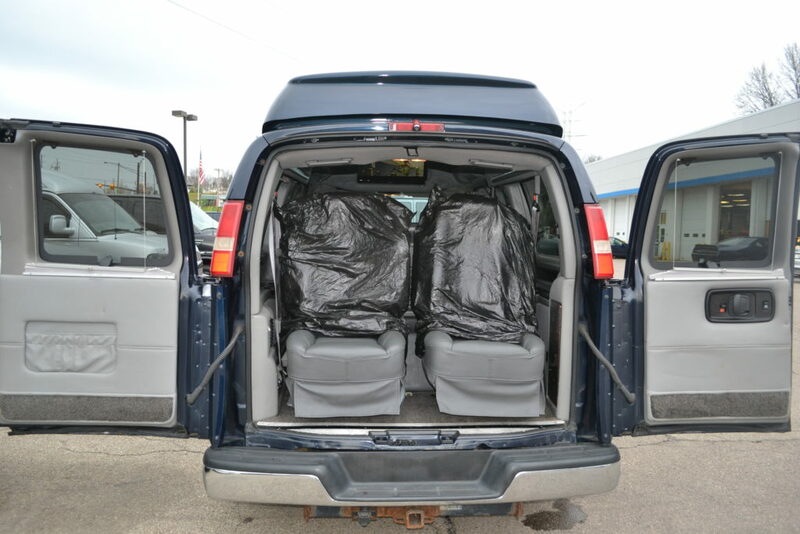 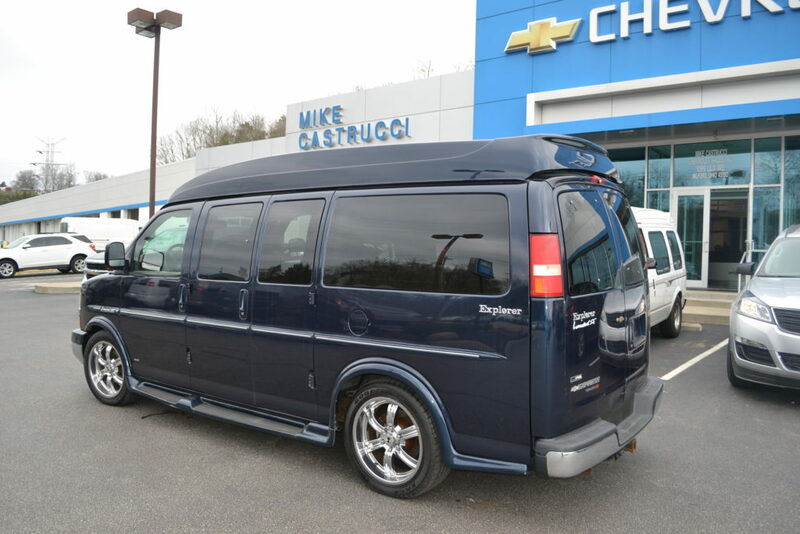 Rear Sofa: Power slide, Power recline, Bi-Fold Sofa / Bed, Rear cargo net. 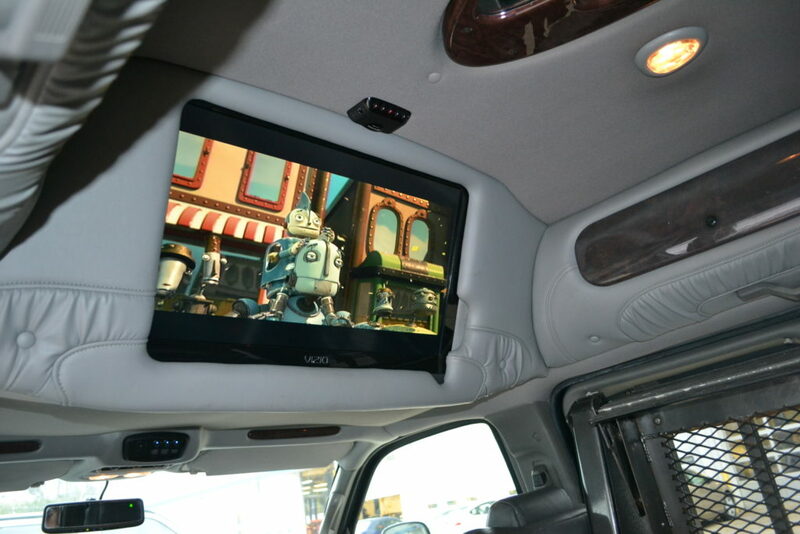 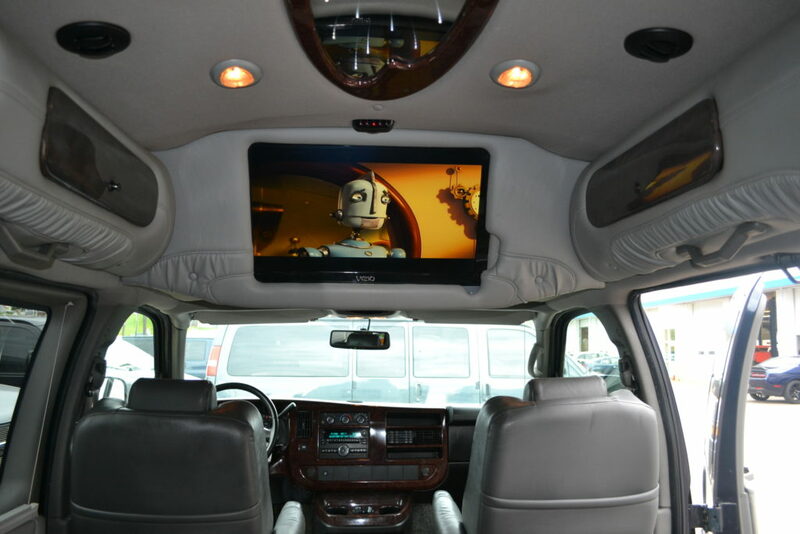 Rear Entertainment System: 26″ Vizio HD Flat Screen TV with Digital Tuner, DVD Player, External Speakers, Wireless Headphones, LED Indirect Accent and Mood Lighting.